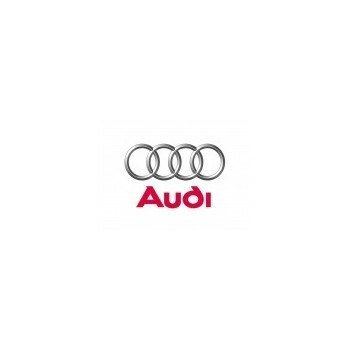 Audi There are 32 products. Our Core Exchange option makes this as easy as buying a new cylinder - you only have to ship back your old cylinder(s) afterwards for core credit. Top Hydraulics' also rebuilds and upgrades convertible hydraulic pumps, as well as manufacturing our own upgraded hydraulic lines. Top Hydraulics' standard warranty is 3 years on rebuilds & upgrades of convertible top cylinders and hydraulic pumps, and on new hydraulic hoses. 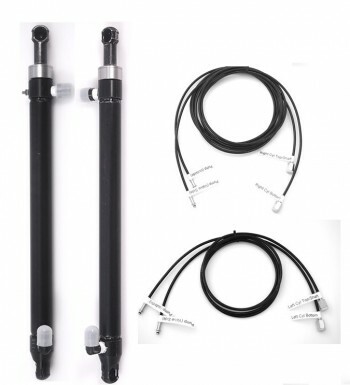 Top Hydraulics offers rebuild service and core exchange for all Audi A4 Cabriolet convertible top cylinders as well as the pump unit, and Top Hydraulics manufactures new hoses that are longer lasting. The most common problem on your convertible is pump failure with intermittent operation and eventually no top movement at all. Top Hydraulics offers convenient core exchange with pumps already filled with hydraulic fluid - you don't even have to buy hydraulic fluid. Pump removal and replacement is easy, and it's plug & play. The system has six cylinders: Two main drive cylinders aka folding top cylinders: p/n 8H0871795B (same LH and RH) Two bow tension cylinders aka tension lever cylinders: p/n for the left side 8H0871603B, p/n for the right side 8H0871604B Two case cover lift cylinders: p/n for the left side 8H0871607B, p/n for the right side 8H0871608B The Hydraulic Pump p/n is 8H0959247B or 8H0871611B, depending on how much of the assembly you are referring to. The part number 8H0 871 611 B applies to the complete pump assembly with three-solenoid valve block. Typically, rebuild service is only needed for the part that detaches from the valve block (and is easy to take out of the car that way), which is p/n 8H0 959 247 B. 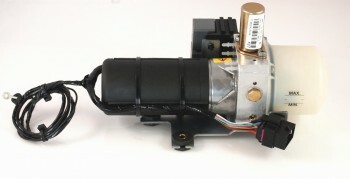 This is the actual pump with the electric motor on one end and the hydraulic fluid reservoir on the other end. It is held in place by a single Allen bolt (6-mm inside hex). 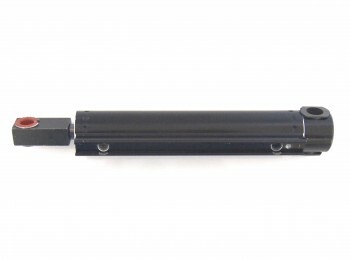 Important: Polished cylinder shafts must be free of rust or scratches from tools for a successful rebuild. If the shaft needs to be replaced, there will be a surcharge for shaft replacement with a hardened stainless steel shaft manufactured by Top Hydraulics. 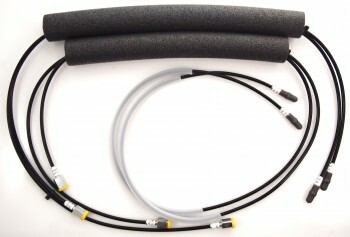 Top Hydraulics can provide replacement hydraulic lines if needed. 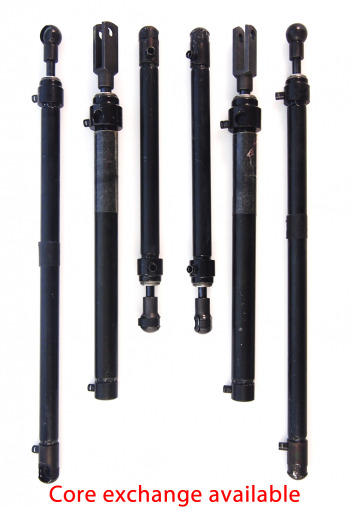 Top Hydraulics' also rebuilds and upgrades convertible hydraulic pumps, and we also manufacture our own upgraded hydraulic lines.